Private household "Visiting Nariman" is located in the resort town of Sudak, 7 minutes from the central promenade and the Aquapark Sudak. 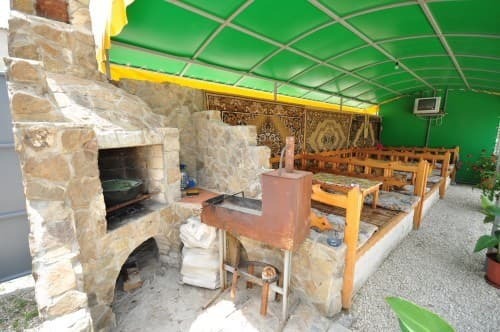 Private estate "Visiting Nariman" provides its guests 2-, 3-, 4-bed rooms. Near each room there is a veranda with a table. On the developed territory there is a parking place, a laundry, a dining room. You can order 3 meals a day. 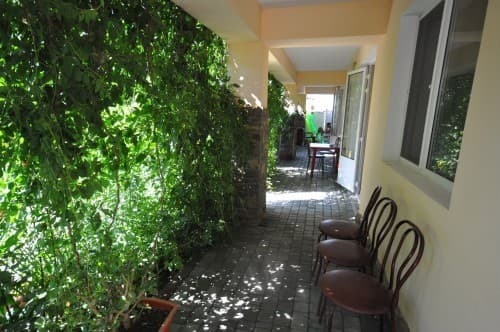 In the courtyard there are trestles where customers can relax, drink a cup of tea, hide from the hot sun. Free Wi-Fi is available throughout the hotel. Also there is a barbecue and a grill for the residents. Not far from home ownership there is a pharmacy, ATM, currency exchange, billiards, beauty salon, massage parlor, market and shops with all the necessary goods for recreation. PRICES MAY CHANGE, IT IS REQUIRED TO RECEIVE INFORMATION FROM THE OPERATOR. 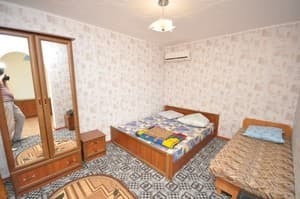 Description of the room: Cozy room with everything you need for a comfortable stay: 4-5 beds, a wardrobe, bedside tables. Description of the room: Cozy room with all the necessary attributes for a comfortable stay. 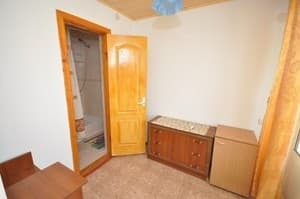 In the room there are 3 beds, a wardrobe, bedside tables. 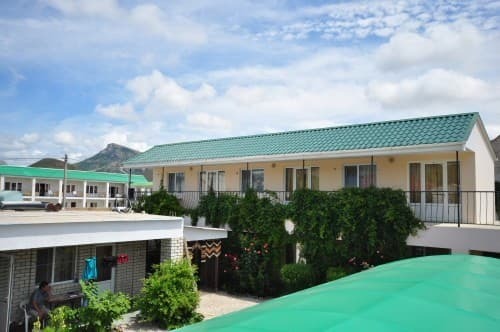 Private household "Visiting Nariman" is located in the resort town of Sudak, 7 minutes from the central promenade and the water park of Sudak. 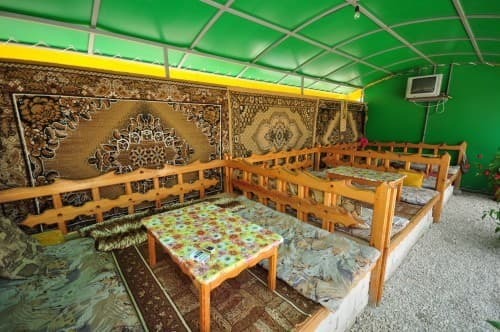 The sleeping area of ​​the city near the mountain Alchak. It is possible to organize a transfer from Sudak - 25 UAH, Simferopol - 300 UAH, Feodosia - 250 UAH.